A 24-year-old local resident has been arrested and is currently in custody. 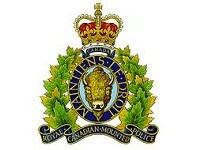 He will appear in Swan River court on April 17, 2013. UPDATE: Information (charge) laid. April 17, 2013. Police will not be releasing the name.